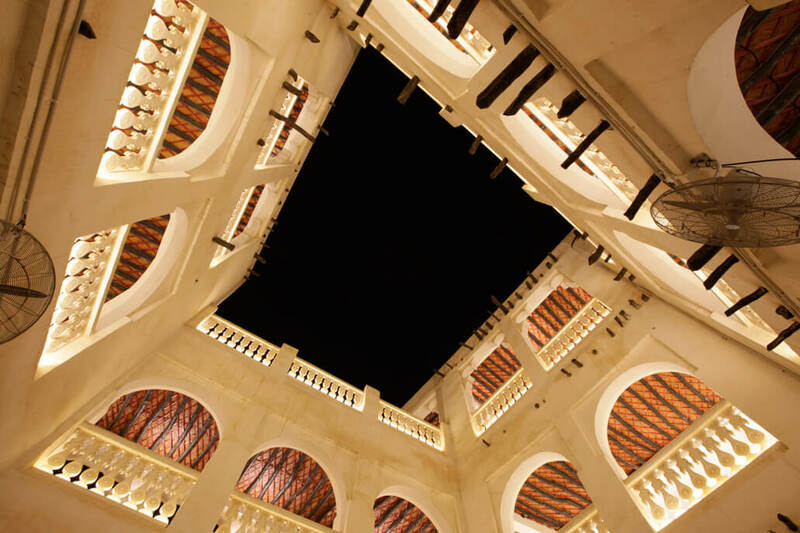 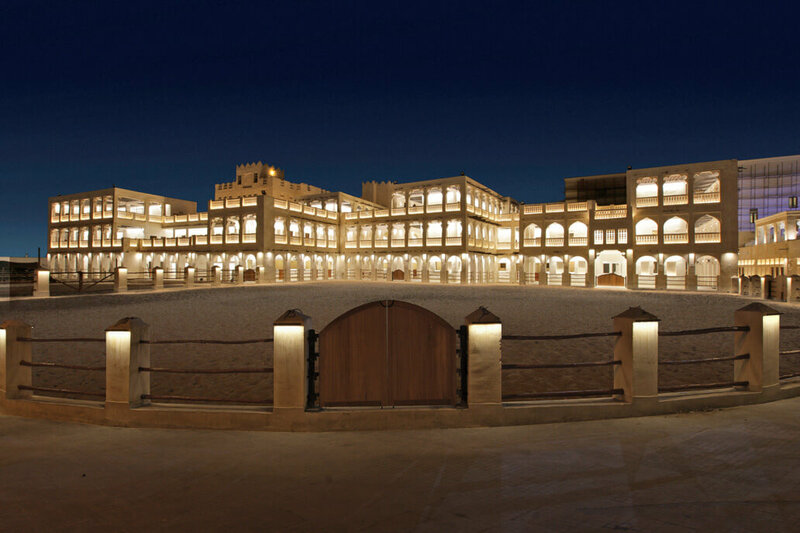 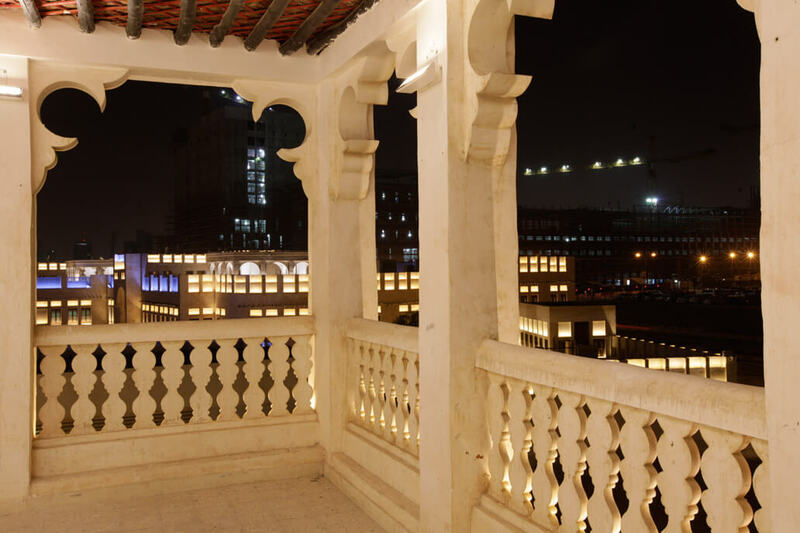 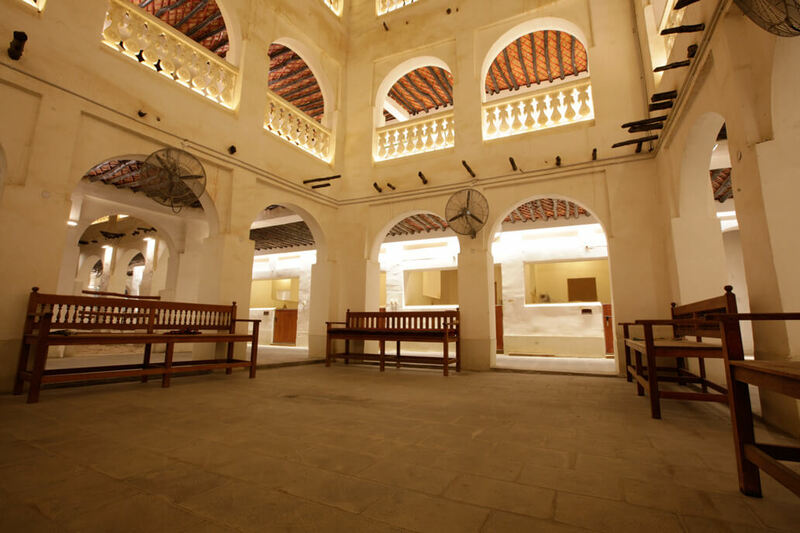 The Horse Stable, rebuilt following historic models, is located in the heart of Doha directly across from the governmental palace, the Amiri Diwan. 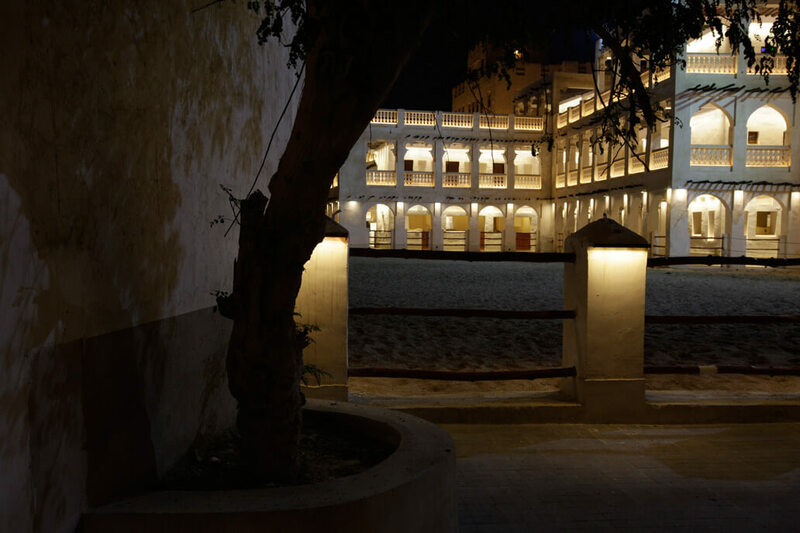 It houses the horses of the palace guard. 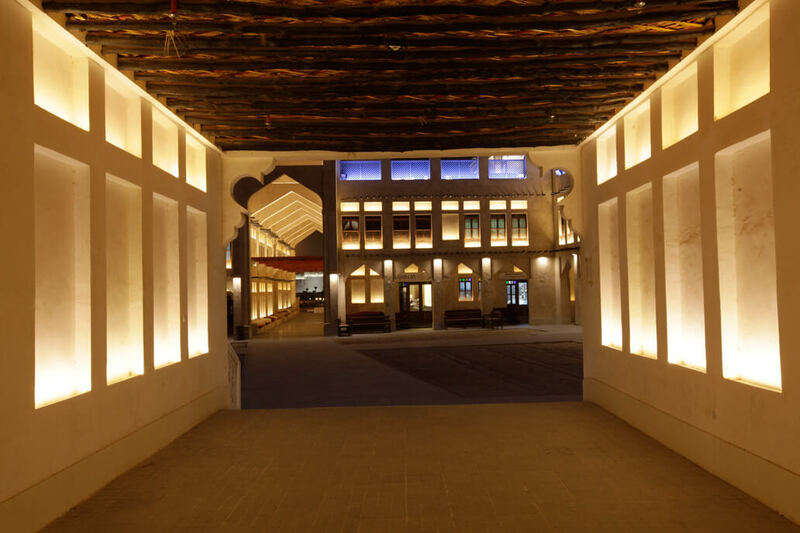 The multi-storey building ensemble possesses the typical clay-plaster walls and façade and wooden beam ceilings, and is richly structured with colonnades, arcades and loggias. 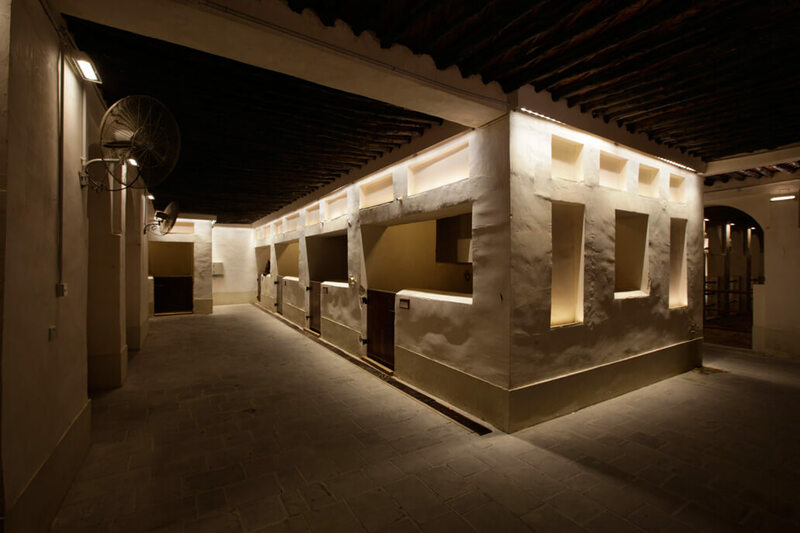 The lighting concept focuses entirely on the many openings and niches, which are accentuated by indirect light.